Through the sharing of experiences and knowledge with the different programs of the Education Ministry of IELCO, the Holy Spirit strengthens our faith. As we study Lutheran identity through the model of Popular Education, we share and grow in our knowledge, build teamwork, and give more structure to the Education Ministry - we see the fruits of the work the Holy Spirit is doing through this ministry. 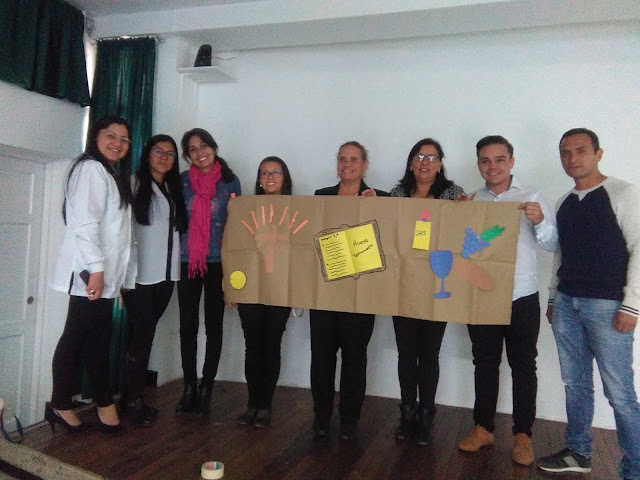 At a workshop in the Lutheran School in Sogamoso where the teachers were sharing their knowledge about Lutheran identity and what it means to work for a Lutheran school.